Vintner/winemaker Matt Courtney is still in my mind as one of the best Chardonnay winemakers today in CA. Each single vineyard wine he produces has a production of approximately 60-125 cases. He is always a perfectionist when it comes to making Pinot Noir and Chardonnay and after eight years making wine at Marcassin, Matt is working tirelessly at Ferren and Arista, another one of our favorite Pinot Noir and Chardonnay producers on famed Westside Road in Sonoma's Russian River Valley. We are one of the few to be able to offer this thanks to our friendship with Matt. I highly suggest trying a few bottles of each. This is a one-time allocation. This 2015 comes from Lancel Creek, a 2-acre vineyard on the western part of Sonoma Coast in Occidental that continues to be farmed by the famed vineyard grower and manager, Ulises Valdez. 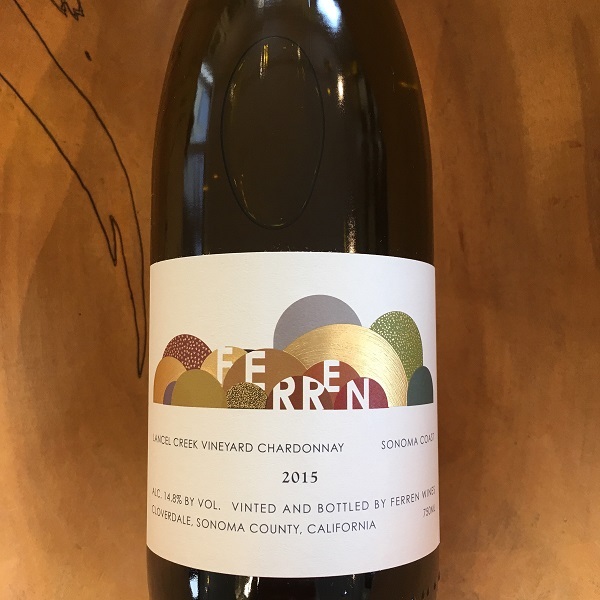 "The pale, off-white Goldridge soil provides just enough nutrients and moisture for these densely planted vines to ripen a small amount of intensely aromatic and flavorful Chardonnay." The 2015 is a great Chardonnay with notes of citrus, pear and baking spice. It is full-bodied and is a prime example of exceptional Sonoma Coast Chardonnay.